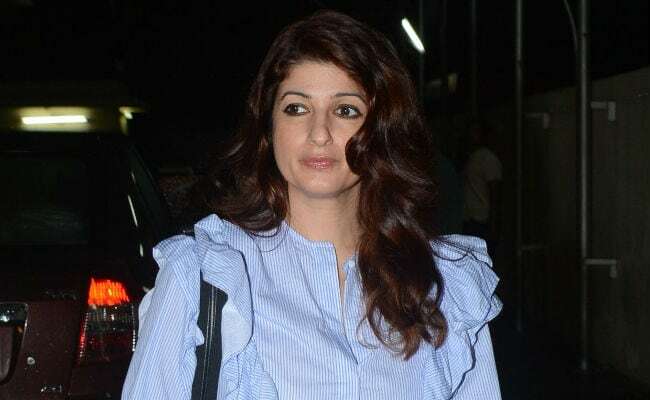 Actress-turned-author Twinkle Khanna twice deleted the Instagram post, which appeared to be an addition to the many jokes about Canadian Prime Minister Justin Trudeau and his family's OTT outfits in an effort to "blend in" with Indians after she received several critical comments. 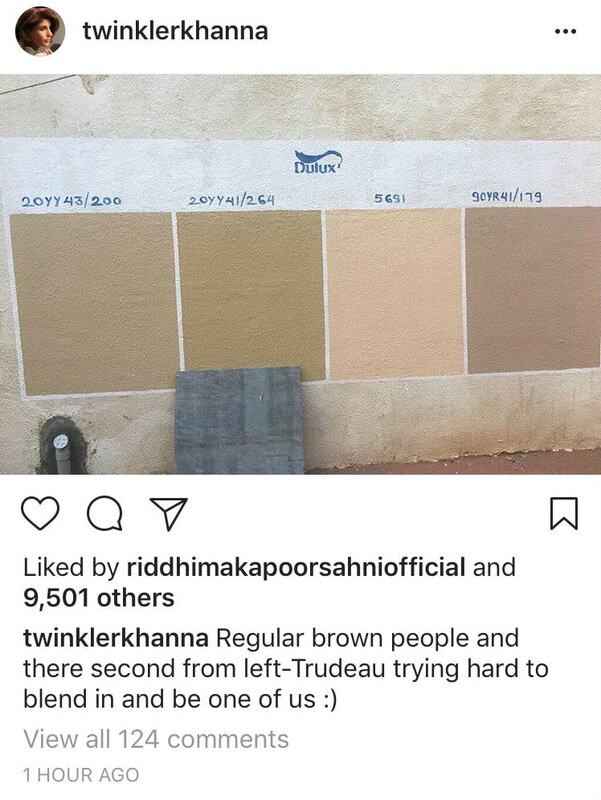 On Friday, she shared a picture of a shade card of wall paint colors and captioned it: "Regular brown people and there, second from left - Trudeau trying hard to blend in and be one of us." But her Instagram followers were not amused and lashed out saying: "Pathetic sense of humour." Another Instagram user asked: "What's wrong if he is trying to be one of us?" Another disappointed fan wrote: "Why everyone boils down to skin color? Why such posts from celebs?" When Twinkle re-posed the picture, an Instagram user said: "I can't believe you reposted such a dumb comment after all the negative feedback you got the first time." Last year, Twinkle Khanna was criticised for her disappointing stand on a controversy involving her husband Akshay Kumar and comedienne Mallika Dua, for which she later aplogised and said: "...My reaction was purely emotional and without perspective, and I have been rather miserable about it ever since... I would like to apologize to everyone who felt that I was trivializing the cause of feminism..."
Before that Twitter alleged that Twinkle Khanna mocking the 'dignity of men' by sharing a picture of an unidentified man squatting to do his business on a Mumbai beach. She was unapologetic about it and posted the same picture again with a new caption, addressing the trolls. Twinkle Khanna recently produced PadMan, featuring Akshay Kumar in lead role. 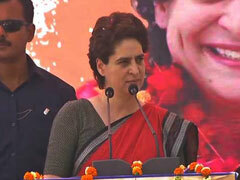 The film has managed to collect over Rs 75 crore in two weeks.